The Cabinet of Ministers has proposed that the Ukrainian parliament scrap a treaty on preventing double taxation concluded with Cyprus and approve a new agreement that would comply with international standards. This was stated by the Prime Minister of Ukraine Arseniy Yatseniuk during a meeting of the cabinet on Wednesday. "During today's meeting, several bills are to be considered. One of them is the draft law on scrapping the treaty between the government of Ukraine and the Republic of Cyprus,” Yatseniuk said. “Unfortunately, back in 2012 when the treaty was signed, it was designed to only protect the interests of the richest segments of the population, because the document provided for a zero tax rate under any transaction on property sales. So property was sold through offshore companies without paying taxes either in Ukraine or Cyprus. “Therefore, the government is appealing to the parliament to support the scrapping of the agreement. Once the document is cancelled, the government will immediately start negotiations with Cyprus on a new treaty that will comply with the standards of the OECD (Organization for Economic Cooperation and Development in Europe)." According to the prime minister, the tax rates in the new agreement will comply with all EU norms and standards. 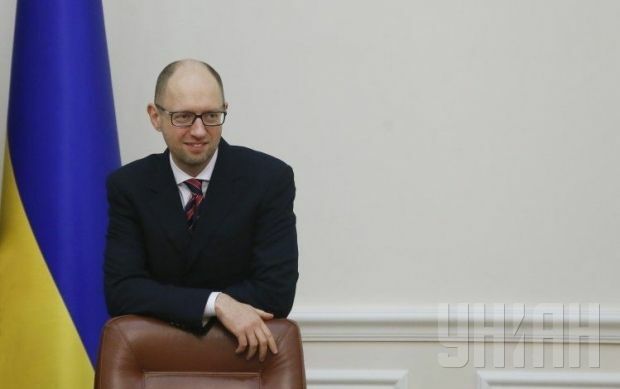 "According to our estimates, annually the state incurs losses of about UAH 6 billion due to the current treaty," Yatseniuk said.